After a pleasant walk, I rounded the corner of our street and headed towards home. Our faithful Australian Shepherd, Sophie, walked dutifully besides me. Gorgeous hues colored the sky at sunset, my favorite time of day for a stroll. Without warning, a fierce jerk dragged my arm across my chest at lightning speed, and before my mind could grasp what was happening, I was dog-skiing through the neighbor's yard. "Sophie! Noooo!" I bellowed, trying desperately to hold myself upright as Sophie raced forward with surprising force. On and on she pulled me, my forty-something body no match for her herding-doggie super-strength. I glanced up and saw Sophie's goal: a freaked-out stray cat, running full steam ahead. "No, Sophie, no!" Gripping her leash with both hands, I leaned all of my body weight backwards and tugged hard. I attempted to dig my heals into the grass, and was nearly catapulted forward as Sophie determined to herd that kitty. I gathered up more slack, leaned back, and pulled even harder. Finally, Sophie stopped. The cat bounded over a small hill, out of sight. Breathing like a track star after a 100-yard dash, and nursing a nearly dislocated shoulder, I scolded our wayward dog as we headed back to the sidewalk. While you may not have participated in a dog-skiing event recently (or ever...) , has your chain been yanked lately? 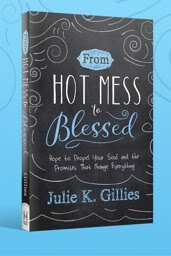 Know this: our enemy schemes against us, hoping to catch us off guard and pull us mercilessly off of our paths. It's up to us to resist him. How do we resist the enemy? We determine to stay on our path no matter the cost. We pray for discernment to know when the enemy is jerking our chain. We ask the Lord for supernatural strength to resist when we're caught off guard. We just say "No!" to the enemy in holy determination. Girlfriend, he's yanked my chain so many times, hard too, so much so, leaving the skid marks of my sin wrapped completely within my flesh. What a great parallel. Too often, my mind is a wandering mess. It is in those times...always in those times...when I get tripped up! How I pray for a wise and discerning mind while on the path. Just when I think I have the enemy nailed regarding his tactics, some new "creature" hops onto the path, and I'm forced to grapple with my obedience all over again. Have a great week Julie. Don't get "yanked" as you go. I pray the same for all of us. Your words of encouragement mean so very much to me. This is what I call looking on the bright side. Have an unfortunate circumstance happen, turn it into a parable and "tada" - all things for the glory of God. AMEN! Yes I have been dog skiing over a squirrel running up a tree. Poor Bandit would not know what to do if he caught one! But, yes I have had my spiritual chain jerked. All's going just fine, until... However, I often don't realize the altered course until I've been dragged a bit. Bumping along, scraped and banged up, I'm learning my lessons the hard way. As Elaine said, I pray for wise and discerning mind. I hope you got your writing finished this weekend. Keep me posted! I had to laugh reading this. I once had a dog that suffered from the worst kind of canine ADD that you could imagine. A walk around the block was quite the experience. You made a great analogy here. So easy to get caught off guard in life, and so hard to get back on track. Thanks for the well needed laugh! And the analogy was awesome, one I didn't see coming! Julie, thanks so much for visiting my blog. I appreciate your kind words. Believe me, I have had my chain pulled quite a bit. It seems to never end. I think I take a few steps ahead, then go back again. You're so right in saying that the path of determination is very important. It's having a made-up mind and having my eyes on Jesus that keep me balanced. Thank you for an encouraging, timely word. Please do visit me again. I look forward to getting to know you better. God bless. GREAT thoughts and visual about the way the enemy yanks us. And practical tips to be ready and armed. Thank you. And sorry for the wrestling match. I'm no match for a dog either. Congrats on your winning a scholarship to She Speaks. I know you'll be blessed. Congrats on your win to She Speaks!!! Thank you for being so honest with your entry. God is the great healer of all. I know you are going to have the time of your life! God is good all the time, All the time God is good!! Have fun. My golden retriever has taken us on similar journeys. It can be so annoying, but we love our pet. 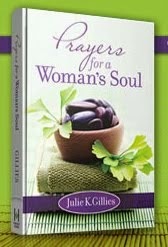 Order Julie's devotional book and take time to pray--for yourself! 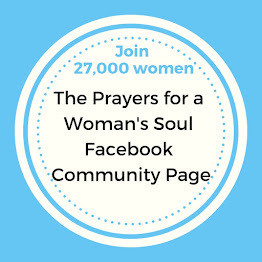 Praying for ourselves is a vital necessity! 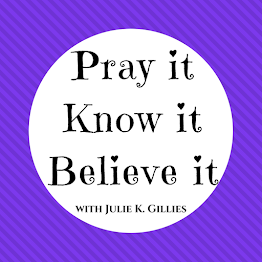 Need Prayer - For YOU?